Any visitor to the Sistine Chapel knows the shoulder-to-shoulder crowds, constant buzz of noise, and weary, sharp shouts of the guards. This Chapel, meant to be a place of peace and admiration of the wonders that Michelangelo created, is often overpowered by the rushing and prodding of fellow visitors. Early last year, I had the opportunity to visit the Sistine Chapel on a private tour after hours with a Vatican friend. And the change was indescribable - the Chapel was utter serenity, vast, breathtaking. I felt the need to whisper for my voice echoed through the room from the ceilings that Michelangelo created. Among my travel experiences, this rates as the top one for the simple beauty of solitude in a place designed for contemplation. Iceland is unlike any other country in the world - otherworldly in its long sparse landscapes and brilliant never-ending summer nights. This past summer during a stay in Reykjavik, I travelled out to visit the "Golden Circle" of Iceland's famous natural wonders. 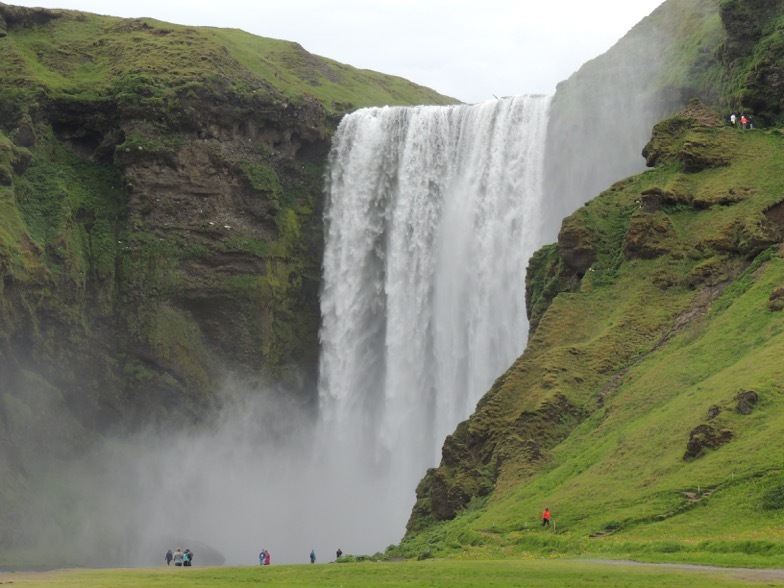 The highlight of this tour for me was the Seljalandsfoss waterfall, which features a rocky path looping up to the waterfall, creeping behind it, and climbing a steep hill before heading back down. Behind and beneath the waterfall, the water droplets and dew from the cascade are chilly and all encompassing. The sound of the water is deafening. Exquisite rainbows bound from the mists onto the rocks the water falls upon. Do you dream of seeing Iceland? Check out IcelandAir and WOW Air's fantastically inexpensive flights. 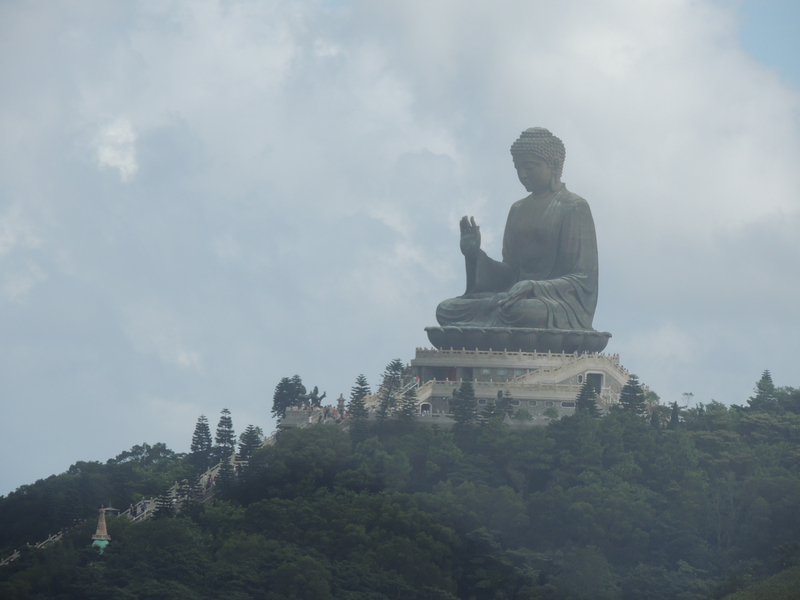 The Tian Tan Buddha, opened in 1993, is a symbol of the connection between humankind and the Earth; he sits atop a mountain, austere, peaceful, looking down on the forests, ocean, and Hong Kong in the distance. The ride to this Buddha is lovely, the cable car swaying gently across the long stretches of verdant trees and peering across the vast expanses of shimmering water - and then suddenly, where it seemed there was nothing before, you can see the Buddha, bronze glinting in the daylight. This incredible experience diverges from the hustle and bustle of Hong Kong; visiting the Tian Tan Buddha should have a place on every traveller's itinerary. The Tshukudu Game Lodge in Hoedspruit, South Africa thrives on nature's power - the Big Five: lion, African elephant, leopard, rhinoceros, and Cape Buffalo spread across the grassy plains. Ntombi - translation "Lady" - is a female cheetah who was raised by humans after the death of her mother. 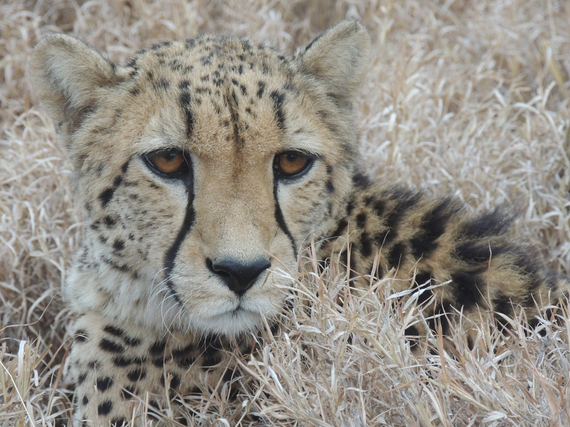 Early every morning, Ntombi prowls the reserve, bristling amidst the tall wild grasses, stretching in the misty air. At this lodge, guests have the unique ability to walk alongside her as she wanders the paths, seeing the African plains wake up and stir with life from the rustling birds in the trees to the elegantly loping and bounding gazelle. Look around at the product of a volcano: risen from the ocean, dappled with sunken calderas. Santorini is an island of beauty, curved, with steep slopes adorned with white houses and famous blue roofs. 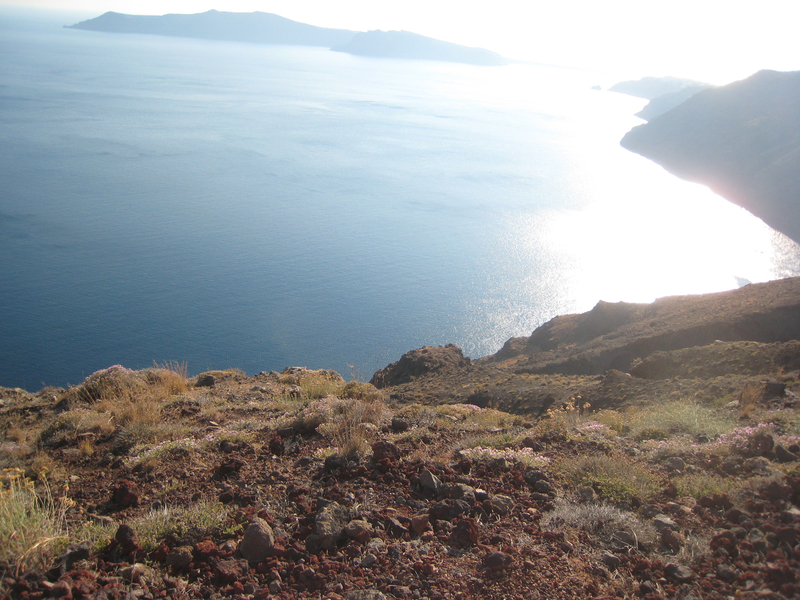 Hiking the Caldera is my favorite thing to do in Santorini - the trails are rocky and uneven, dusty and long, every step seems an adventure, maneuvering across thin paths on tightrope cliffs. The breezes are more musical than a symphony, whispering and rushing through the buildings and across the sparse grasses. I recommend walking from Fira to Oia, a long and refreshing walk dotted with hotels and hikers and stray dogs all too happy to accompany you. Upon reaching Oia, sit and relax, enjoy a traditional Greek meal, and shop at the little boutiques and stores. Whether you are an artist or not, what better place is there to learn classical technique than in Florence, the birthplace of the Renaissance and a capital of classical arts? I studied art at the Florence Art Studio several years ago, completing a charcoal study of the Bust of St. Jerome. 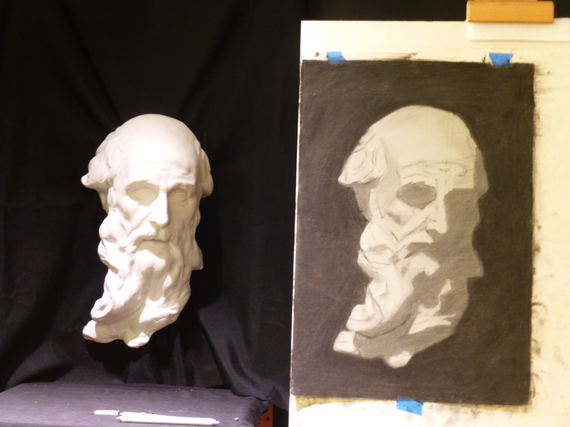 While challenging, this art class pushed me to my limits and allowed me to better understand the technique and push for perfection behind the work of Renaissance masters. If you are looking to become a true Renaissance man or women and expand your skillsets, visit the beautiful city of Florence and study classical art! Are you on your way to Florence? Looking for what to do while there? Check out my article "Florence: an Itinerary for a Timeless City!" A journey to the center of the Earth, these otherworldly caves of Slovenia are unchanged across history, characterized by a deep, thrashing underground river and steep overhangs lined with snaking rope railings. Stalactites and stalagmites dart from ceiling to ground and ground to ceiling. The greenness of the grounds above the caves juxtaposes the sienna-lit cliffs below. 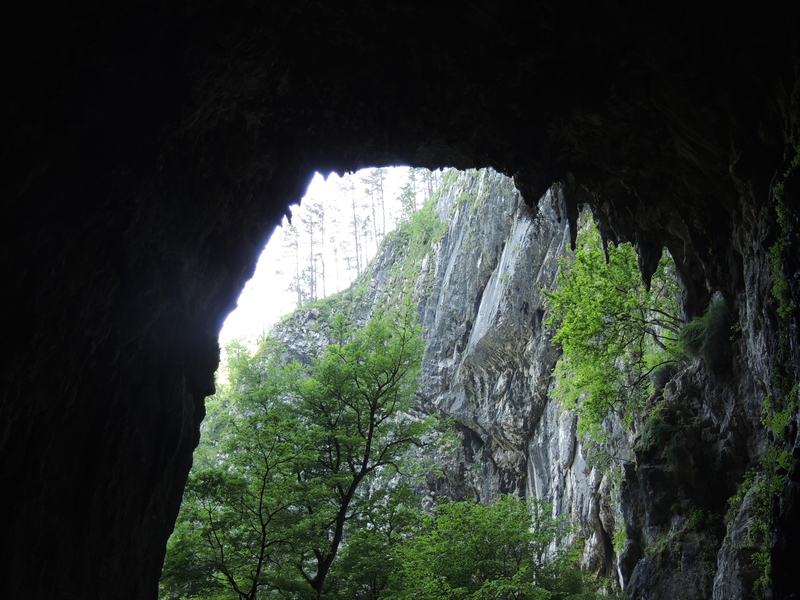 From a tour of the caves, walk out into the surrounding sun-speckled forests and explore the almost magically beautiful paths that lead back to the cave's entrance. Are you headed to Slovenia? Check out my article on why to visit Slovenia's lovely capital, Ljubljana. Within Seville's magnificent, towering Cathedral, you can find speckles of Spain's complicated history dotted throughout: the orange tree courtyard and intricate geometric fountains from the days of Muslim rulers, the body of Columbus resting inside a towering monument within the Cathedral, and La Giralda, a bell tower that was once the minaret of a mosque and was transformed during the Renaissance. 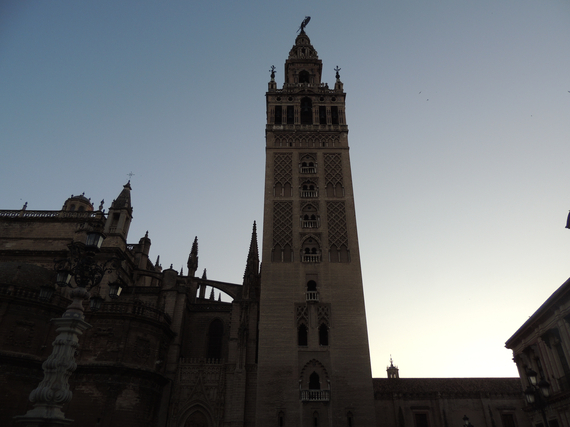 Through the Cathedral, enter La Giralda and climb the ramps designed for horseback riders to scale the tower a thousand years ago. While ascending the tower, peek out and watch Seville grow outward into the distance. The view from the top is incredible, a panorama of the city that allows you to see the layers of history within. Have you ever wondered what it feels like to be on top of the world? The closest I've felt came the day that I climbed the Sydney Bridge. The first steps are terrifying, ascending the iron bridge, feeling the chill of the metal and the cable attaching you to the bridge. And then, as you rise up the stairs, any fear evaporates and suddenly, you are touching the sky, the winds whipping around you, your jumpsuit rippling in the breeze. Almost too quickly, you reach ground level again. This experience is inimitable and I recommend it for every Sydney bound traveller. 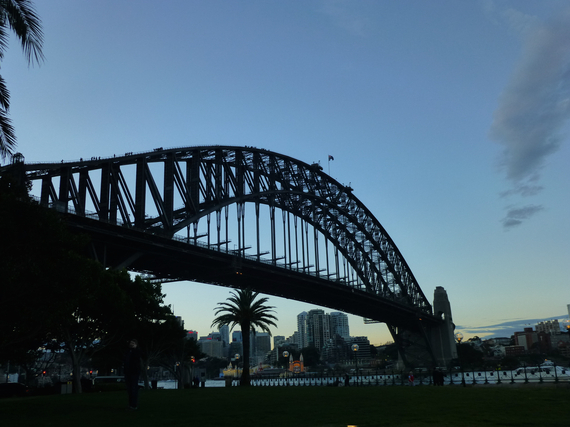 Would you like to climb the Sydney Bridge? Learn more about the Bridge Climb in "5 Experiences to Put on Your Bucket List in the New Year!" What comes to mind when you think of Claude Monet? The gently rippling streams of ivy, the soft, almost touchable water lilies, the gentle curves of light from an unseen sun sparkling across a stretch of water? These pastel dreams of paintings are dazzling in and of themselves, but I recommend taking a trip to the spot of their genesis. 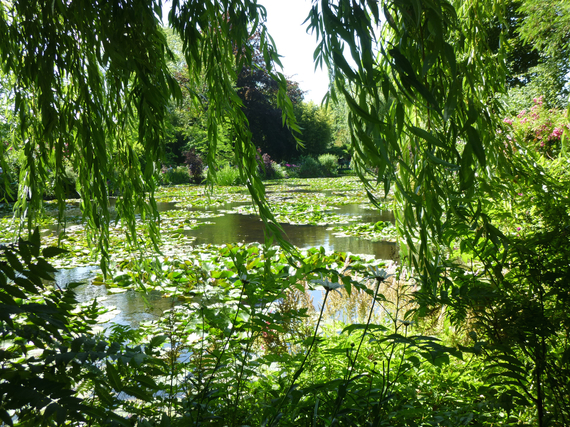 Monet's gardens and quaint home are spread around ponds and meandering streams connected by red Japanese bridges. It is a Persephone's garden of a thousand flowers, both in the water and out, the trees tower above the water and paths, shading the pilgrims who seek the artist one hundred plus years after his heyday.